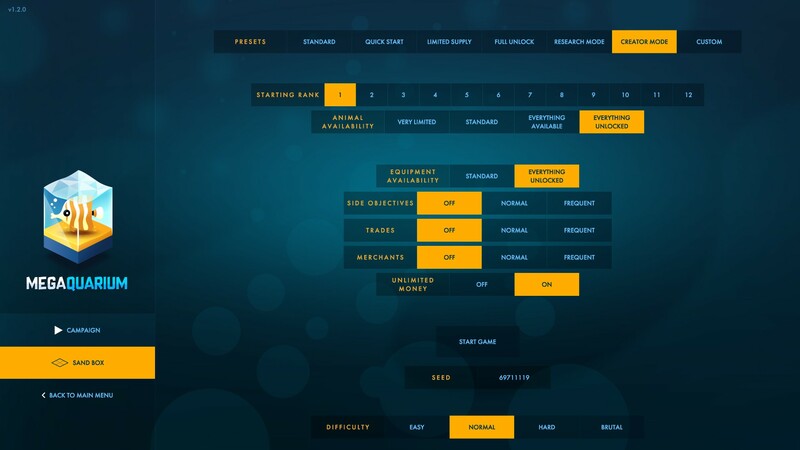 From now, if you choose the sandbox mode you will be able to pick things like unlimited money and having everything unlocked for a proper creative mode. There's also various quick preset options you can choose, as well as individually changing settings. 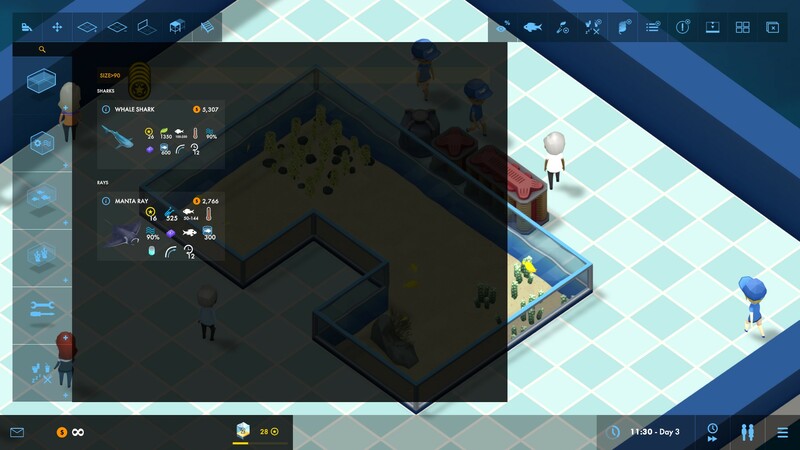 Not stopping there, you now have access to five new plants to create more varied fish tanks. Today's update adds in Velvet Horn seaweed, Shellweed, Sea Grapes, Rubberweed and Chain Halimeda. Some of the existing plants were rebalanced, so the differences between each of them is a little more drastic to give them all more of a purpose. Such a wonderfully relaxing game, I've lost days to this one. The UI is so amazingly clear and easy to use it's a breeze to play. Being able to be fully creative with it, might just make me play it even more. Really happy to see this one continue to get more to build with each new update. You can find Megaquarium on Humble Store and Steam. This game is really good! I was worried it was done developing because the dev has been a little quiet (it would have been fine, the game was already great!) but this update does add the search feature which I felt the need for during my playthrough! I like sandbox mode in games like this, unlimited money and everything unlocked just lets me go mad in creating the most ridiculous nonsense I can imagine.